eScan Internet Security Suite is a thorough Internet security solution for Small Organizations and Home Users. It provides effective security against all threats on Internet such as Viruses, Worms, Botnets, Keyloggers, Adware, Spyware, Hackers, Rootkits and other threats on the Internet. Protects Resources Real-Time: E-mails, attachments, files, and folders all scanned real-time to detect offensive content, banned information, forbidden information, and filthy language. Enhanced Self Protection Technology guards itself against malware deleting important files and hence keeping the system free of infections. Special Protection for Important Files and Folders by Locking: Important folders and files can be prevented from being deleted or modified. This feature protects the files and folders from malware. USB Drives Data Protection: Escan Internet Security Suite Application controls protect data from being stolen or infected through USB drives by allowing or forbidding an application from running on a computer. Pop-up Filter, Web Phishing Filter, and Virtual Keyboard: Block unwanted pop-ups with the pop-up filter. Web Phishing Filter detects phishing sites and warns you accordingly. Your system is protected from keyloggers with the virtual keyboard. The virtual keyboard can be used to type confidential data like credit card details and passwords. Firewall Protection from Network-Related Attacks: The firewall protects against any network-related attacks on your computer. Escan Internet Security Suite provides effective control over incoming and outgoing traffic to your computer. Play Games Conveniently: Escan Internet Security Suite does not interrupt you while you are playing games. It stops displaying alerts and notifications once you start playing games in full screen mode. Excellent Parental Control: Parental control utility helps you to block offensive sites and monitor your children activities on computer. 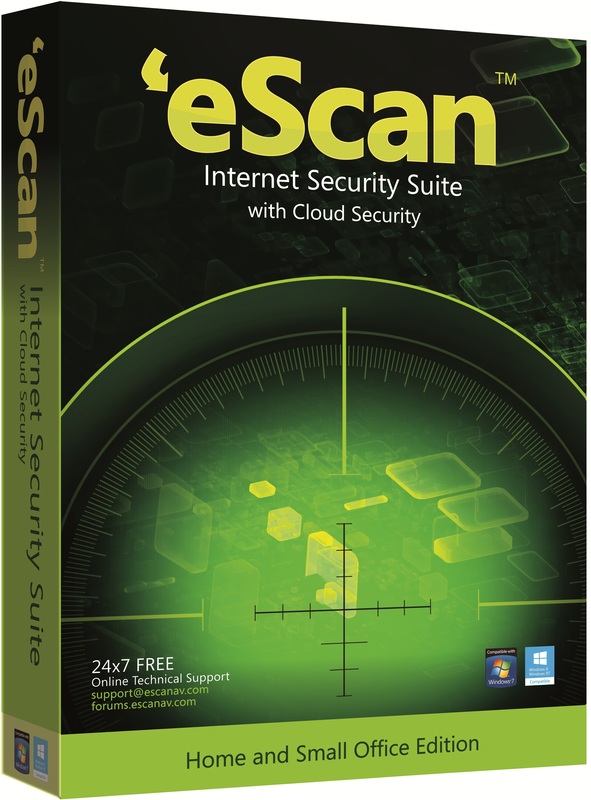 For escan Internet Security Suite Click here DOWNLOAD. The above “DOWNLOAD” button provided to you will only proffer the trial version of the Escan Internet Security Suite software. The trial version will not contain any means of keygens, cracks, spyware, activation codes or serial keys for the software. 30 days are on your account to enjoy the software and go through its each and every feature. After ending of 30 days of trial period if you like the software and want to continue usage, please contact the authorized dealer and buy a Escan Internet Security Suite genuine licensed copy. Avoid using any illegal means to get the software and keep your computer healthy.